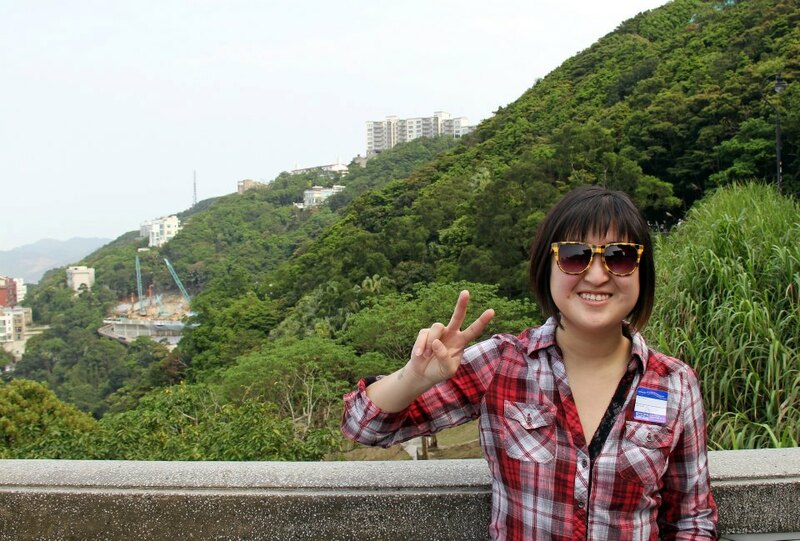 the second big trip in 2013 (i also went to california, but it was strictly work so and nothing really worth reporting) was to china. every year the company i work for does three “town hall” meetings- it’s a chance for the president to answer employee questions and do a progress report for the year. there is always one in des moines, iowa, usually one in belgium (our second biggest office), and then one in another global office. this year china was selected. i have to admit, i wasn’t super stoked to go to china to begin with. not because i have anything against the country. it’s just… it’s just that i’m asian. and that gets confusing. because i’m the fakest asian there is. i really know nothing about my heritage. i can’t speak the languages. oh, and i’m not chinese, i’m korean. but my boss was going with me and she and i got along really well. slowly but surely she convinced me that this trip was going to be amazing. we planned out fun things we could do in our free time. and, she reminded me, i’m adventurous. it’s not somewhere i’ll probably ever go again. i should be soaking up this opportunity and enjoying every second of it. the best part about this trip was that it was a 16 hour flight. well, that wasn’t the best part… the best part was flying FIRST CLASS for a 16 hour flight. i’ve never ridden in first class in my life. and it was everything i dreamed it would be and more. i mean, the seats laid ALL THE WAY DOWN. they offered us champagne. and wine. and port (which, turns out, is disgusting). and an assortment of cheeses, appetizers, and snacks. the meals were almost restaurant worthy. the attendants smiled. it was a happy, beautiful place i hope to someday return to. so, when you fly to china, you have to go into hong kong first. we got to hong kong in the afternoon, took a taxi to our hotel, and got ourselves situated. that night we went out for dinner and to explore the area. our hotel was near the water and we apparently hit a good time, because as we were walking we noticed a crowd of people starting to form along the dock. wondering what was going on, we stopped as well, and we witnessed hong kong’s “symphony of lights,” which essentially is the world’s largest laser light show. 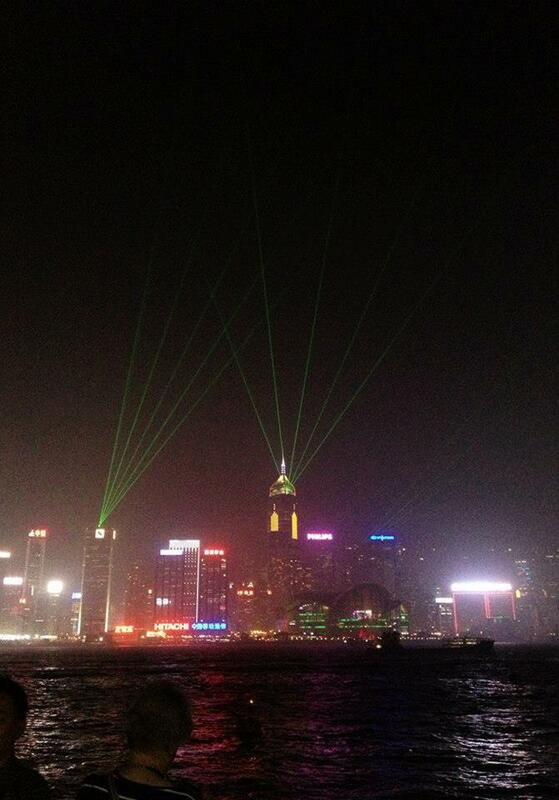 44 different businesses/buildings along the victoria harbor participate in this ten minute show and it attracts around 4 million visitors each year. the next day we did a little more exploring of hong kong. we decided the best way to see the sights in one day (not enough time) was to take a tour. we booked the tour through our hotel, which was recommended to us so we wouldn’t get ripped off and everything would be organized. our tour guide picked us up and we headed off with a bunch of other tourists with cameras strapped around their necks to victoria peak. 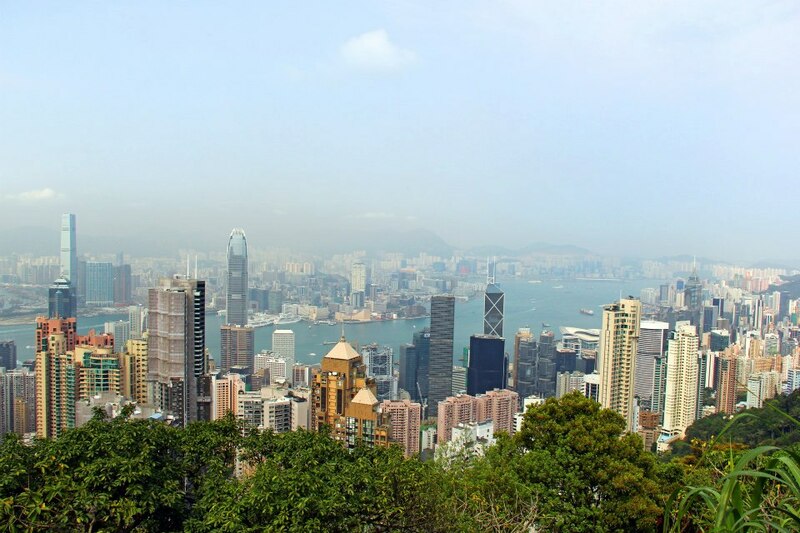 victoria peak is the highest mountain in hong kong. it’s referred to as ‘the peak’ by the natives and it’s a huge tourist attraction because it has a breathtaking view of hong kong and the surrounding islands. oh, and i also accepted my roots and threw the peace sign as often as i could. …a little bit of immaturity. while we were at the peak we saw this and couldn’t stop laughing. i’ve always wondered where that went. 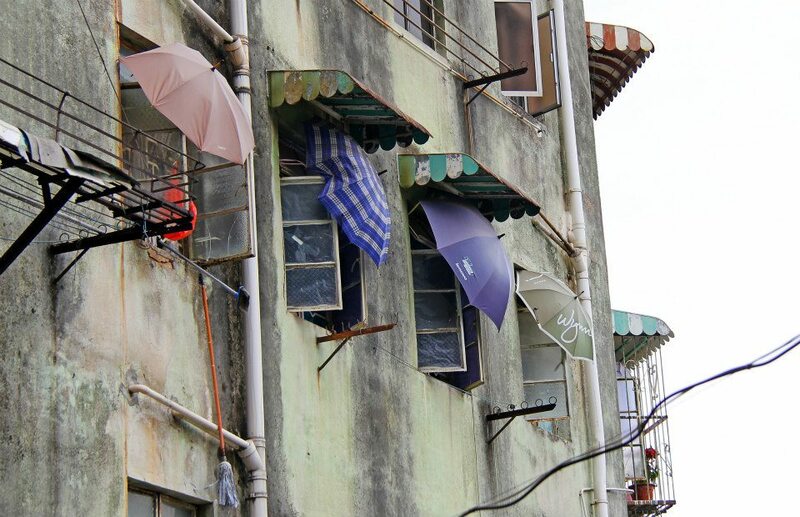 after we left victoria peak, our tour bus brought us to the aberdeen fishing village, which houses around 6,000 people who live on the boats. 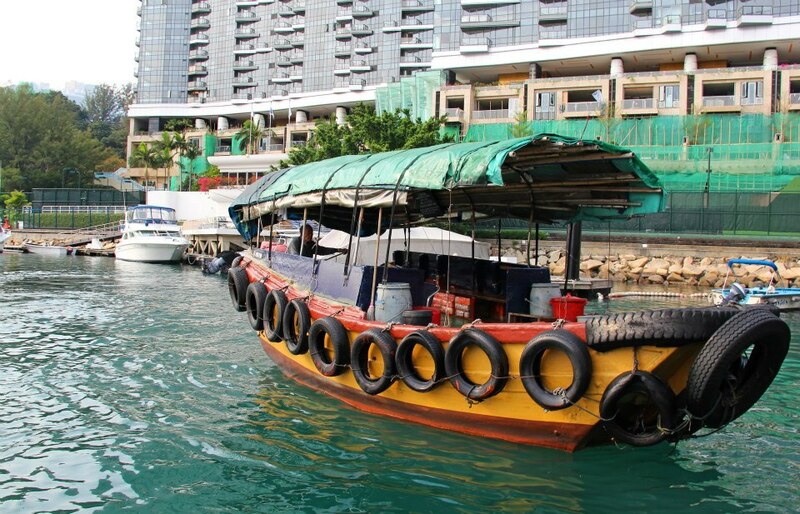 we paid 60 Hong Kong dollar (approximately $8 USD) to ride a sampan and help support the fishing industry. aberdeen is one of the most important fishing ports in kong hong, but due to the increasing costs of the industry the community in aberdeen has started to decrease in size. 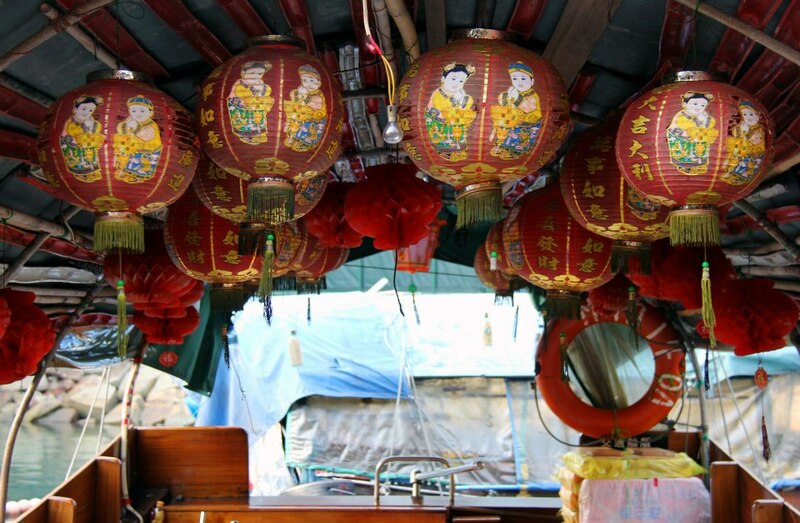 after the sampan ride we walked around the hong kong market for a bit, then made our way to the docks. you see, the reason we were only staying in hong kong for a day was because we were going to go to macau that night. i really knew nothing about macau except that it was supposed to be the “vegas of asia” and that one of the james bond movies had a scene there. a little fun fact about me. i get motion sickness. like, crazy bad. the sampan wasn’t too terrible (surprisingly), but i felt absolutely miserable on that boat that took us from hong kong to macau. chalk it up to being tired or just lucky throughout the day, but i fought the headache and stomach until i made myself go to sleep for the rest of the ride. 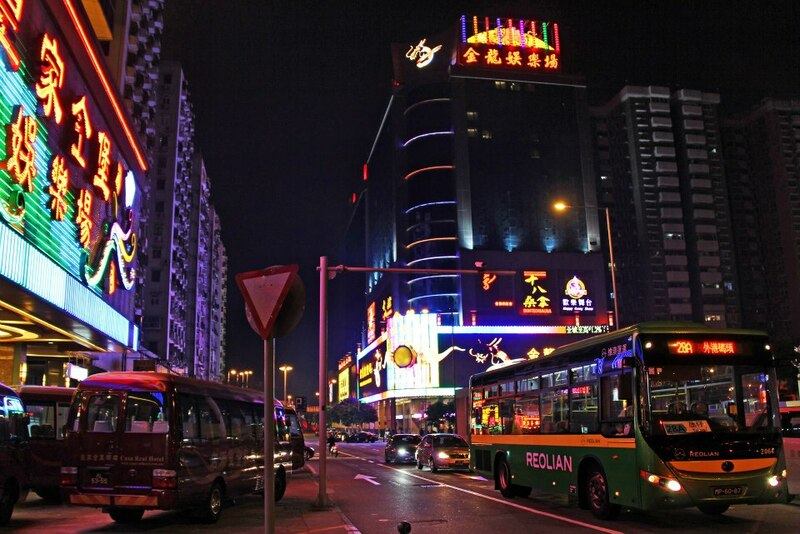 so we arrive to macau; tired, sickly, and starving. we had chose a hotel that was not on the “strip,” but rather in a different part of the city. it was kind of remote, but well-kept and very pretty. 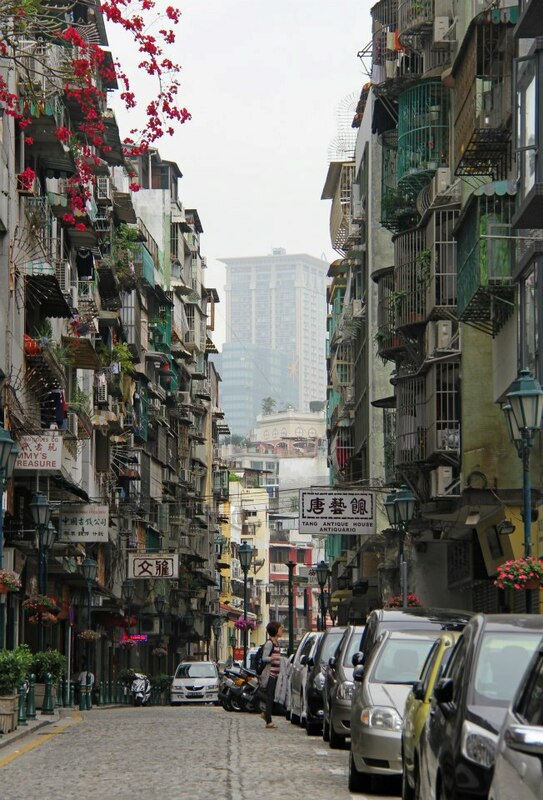 the strangest part of macau is the mix of cultures- it has influences from china, but cantonese and portuguese influences are found throughout the country as well. we decided to do a bit of gambling (when in rome), but a lot of the games were different than the ones we are used to in the USA. 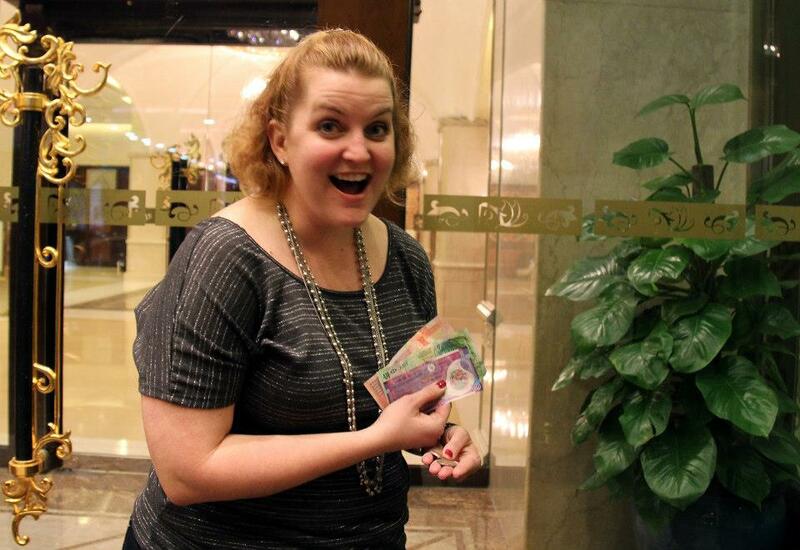 even so, slot machines seem fairly universal, and stephanie ended up winning $200 on the slots!!! well… $200 HK dollar, which is about $28 US dollar… but still! the next day we decided to do a bit of exploring of macau on our own. 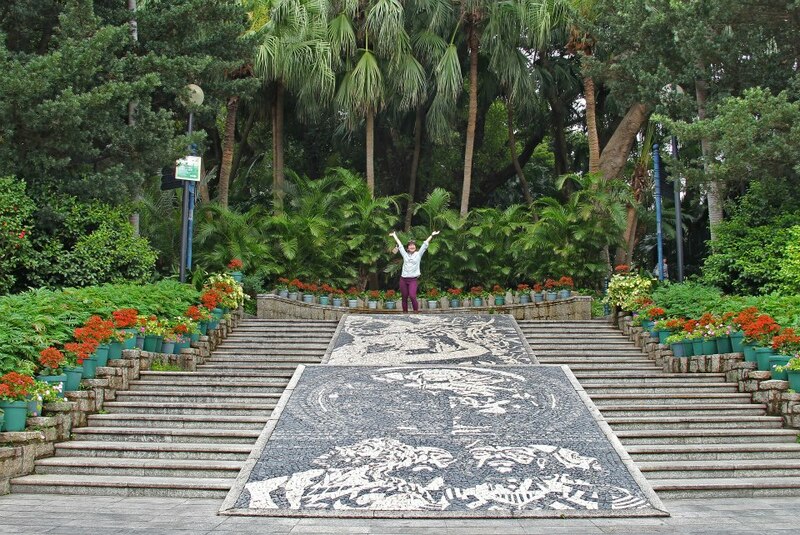 i had a list of things we should check out, so we took a taxi to the casa gardens, which is just a cute little park in macau. attached to casa gardens is the old protestant cemetery. apparently back in the day macau was a strictly roman catholic country, and china refused to bury any outsiders, so the protestants had to bury their dead at night. they also risked being killed for this procedure if they were caught. in 1821 the land was bought and they got legal status to bury their dead. we also saw plenty of temples, the old city wall, and the ruins of st. paul. macau is a fairly small place so most of the sights are easily walkable if you don’t mind some hills. i loved walking around the city and seeing the different lifestyle- old buildings are a weakness of mine. i have to take photos of things that are run down or interesting, places that seem like they have a story. 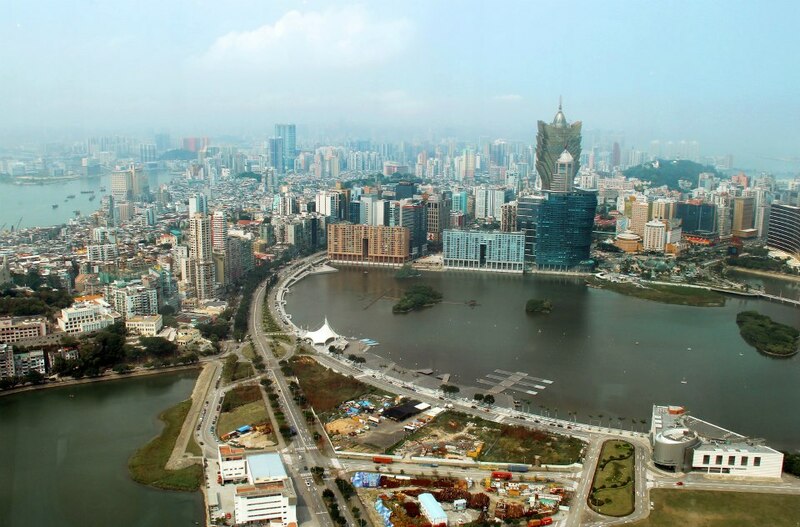 another highlight of macau was going to the macau tower, which is the 10th tallest tower in the world. 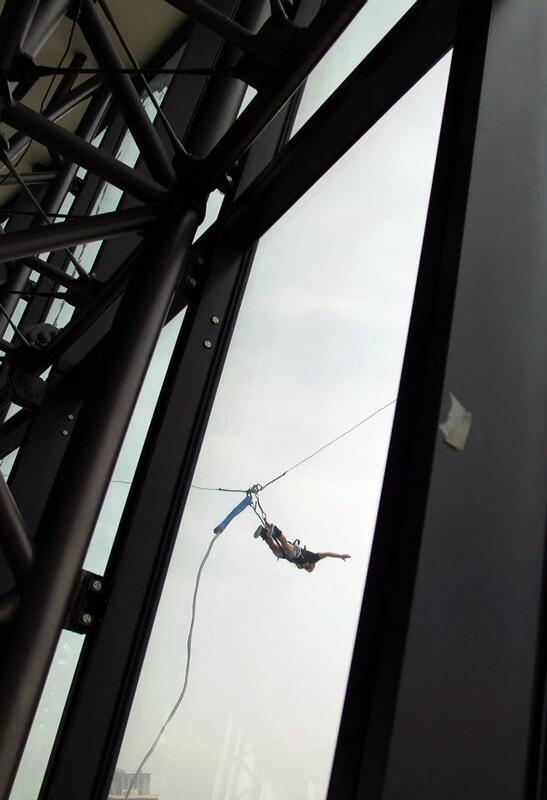 the reason i liked the macau tower so much, though, was not the impressive heights or the view (those were fine, but you go in one tower you pretty much go in them all), but the fact that you could BUNGEE JUMP OFF OF THE TOWER! um, say what?! i wanted to bungee jump so badly (i’ve never done it before), and it seemed like a prime location to do so. 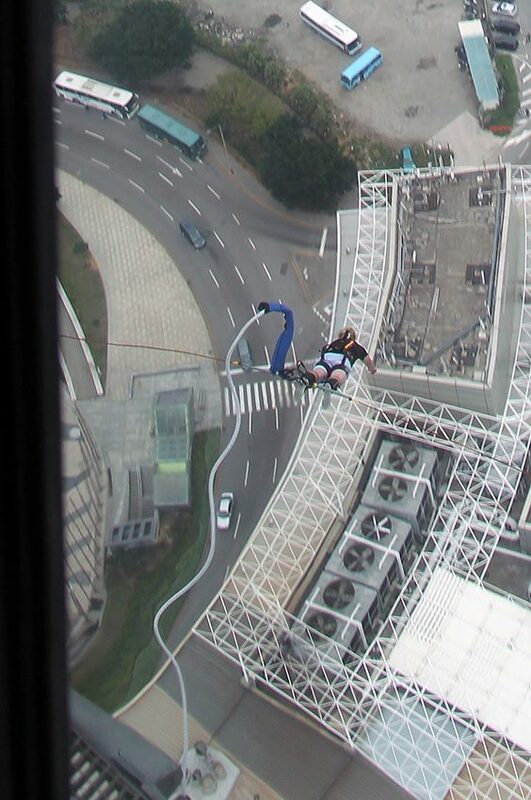 i mean, how many people can say they’ve been to macau alone, let alone jump off of the 10th tallest tower in the world? unfortunately (or maybe fortunately, we’ll never know), stephanie was pretty against it. don’t get me wrong, she would’ve supported me going and actually encouraged me to, but she wasn’t going to go herself. and i decided if i was going to fall and break every bone in my body, doing it so far away from home before my work trip actually started might not be the best idea. after we left the tower, macau started going down hill. not physically or probably for anyone else, but this was the point in time where stephanie and i had to go through the immigration line to leave macau and enter china. the three hour, hot, disgusting, immigration line where no one spoke english and stephanie was constantly gawked at for being a white female. i pretended for a bit to join in with everyone else, but even that lost it’s appeal after hour two. 😉 and then i lost my immigration card and thought i was going to be stuck in macau forever…. whew, i made it out, though. he basically swore at me and called me lucky and then stamped my passport. then we waited in another two hour line to actually get into china. once we got to china we were already in the town we needed to be in (zhuhai), so that was a little bit of luck in our favor. we hitched a taxi to our hotel, got settled in, and started prepping for our work meetings. besides doing the town hall (which i am in charge of), we had to give a few presentations, meet with the teams, and tour the facilities. besides the meetings and everything going according to plan, two things happened out of the ordinary that came to mind during our time in zhuhai. 1) the heads our specialty crop improvement team were also in china to check out their team and plants. they are two of my favorite people who work at kemin, and they invited me out to dinner with their team that night. 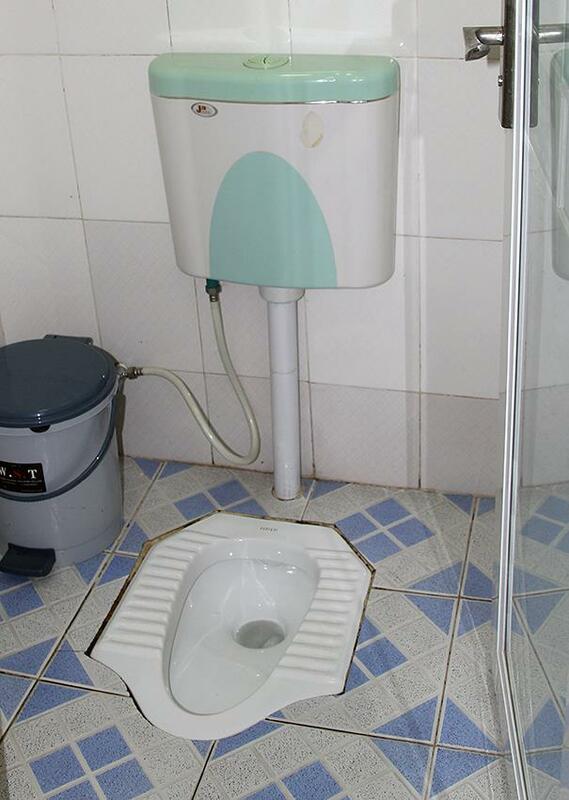 2) i experienced my first squatter toilet. no, i didn’t use it (at that point), but it was a new and startling experience in itself. from zhuhai we went to shanghai for a few days, where we had dinner with a different team (apparently we have 4 offices in china- zhuhai, shanghai, beijing, and ningbo) and attended FIC, the largest food ingredient trade show in the world. the last night michael took us out for hunan food. he started us out on level 1 and the goal was to gradually go up as we got acquainted with the flavor… we ended up staying on level 1 the entire night, but we also drank a lot of strange chinese budweiser beers. apparently it’s americans contribution to the world of beer. 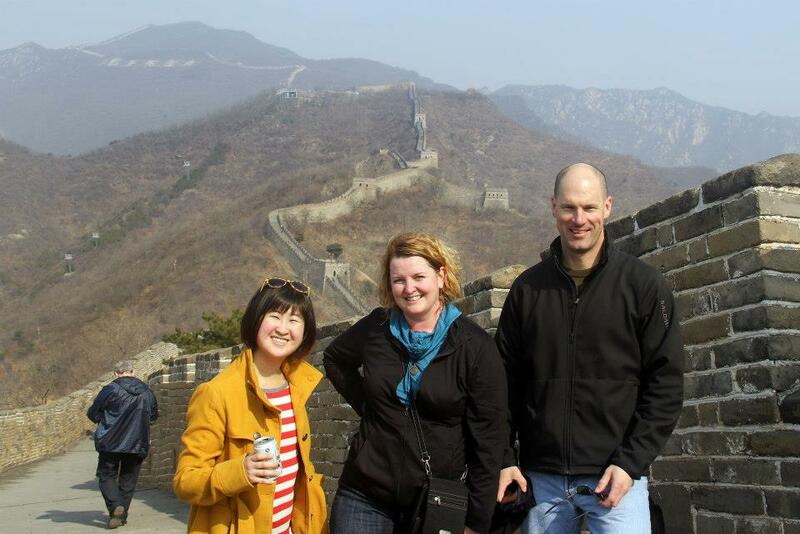 after our time in shanghai, stephanie and i took a train to beijing, along with another one of our coworkers, alex. alex is head of marketing for our health division, and he is a pretty funny character. he was in good humor the entire train ride, doing a bit of work, a bit of army stuff (very dedicated soldier), and conversing with stephanie and me. well, they tried to converse with me. but to be honest, i am a terrible transportation friend. i like to fall alseep, listen to music, or watch television shows when i’m in route. i’ll make some small talk, but honestly, it’s one of the few times i actually like to be left alone. after the talking wore me out, i watched a few episodes of the walking dead and then fell asleep for most of the 4.5 hour train ride. when we got to beijing it was already pretty late at night. we hadn’t had any dinner yet so we had a drink and some food, and then we got ready for bed. even though it was already 2am, we probably would’ve stayed out later, but we had to meet our driver in the lobby at 7:30am and that didn’t call for much sleep. xuemei was kind enough to arrange this for us, however, and we wanted to see the great wall of china which was a bit out of the city. and the great wall was just that- great. it was phenomenal, in fact. 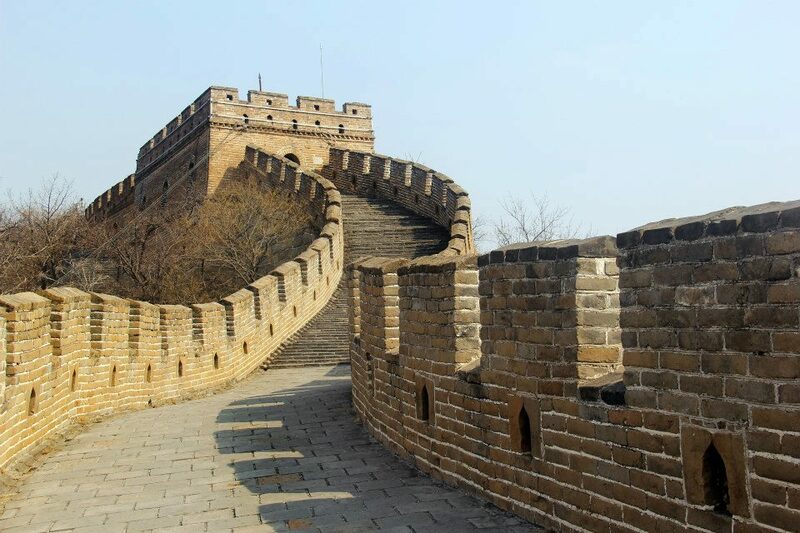 we opted to walk the wall instead of paying for a ride up, and i’m really glad we did. the sights along the way were great, and it was rewarding to get to the top and look over it all. makes a person feel rather small! i have tons of photos of this 13,171 mile wall, but i will spare you photos of my “brilliant” photography and just narrow it down to a few. in this photo you get to see the beauty of one of the seven wonders of the world. 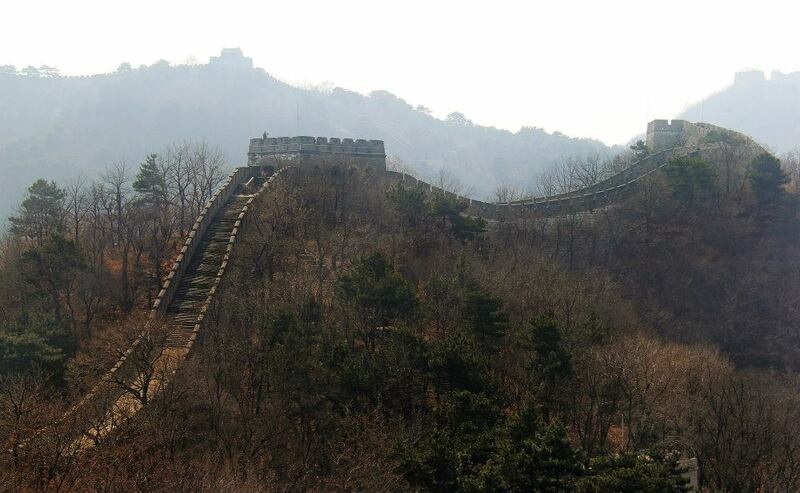 …and then behind me, you also get to see the great wall of china. one of the coolest parts of the trip to the wall (once you got over how old, how big, how well constructed the wall itself is), was the fact that you could toboggan to the bottom of the mountain for only 60 RMB. since i already regretted not bungee jumping, i decided there was no way i was going to pass up this less-potentially-bone-breaking opportunity. and it was a lot of fun! 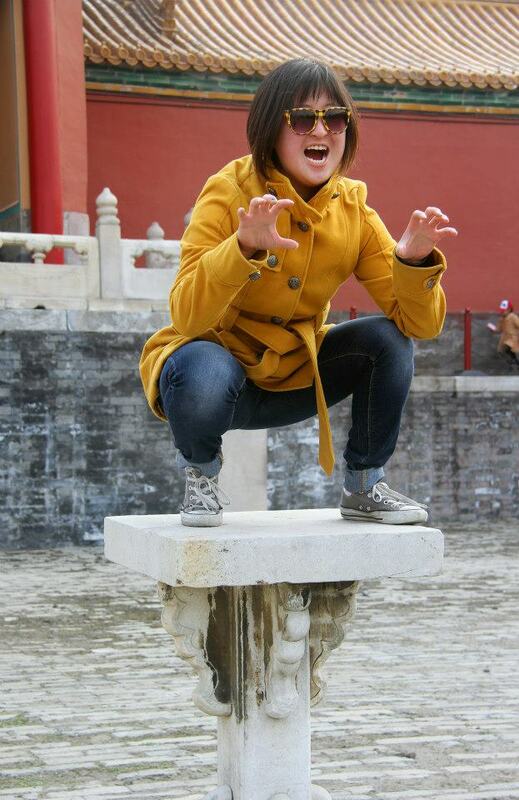 …pretending to be a gargoyle. what can i say? even with thousands of tourists milling around, some habits die hard. alex also pretended to pee in the corner and that also made for a funny photo. he pretended, though. i swear it. later that day the taxi driver took us to mcdonald’s, which i don’t even go to in the usa. i’m just sharing this because it made me really annoyed, although it shouldn’t have. he was a great driver and very attentive, but there was enough of a language gap that he didn’t understand me when i said i’d rather eat my own hand off. i didn’t. i ordered some mcdonald’s, which was very cheap and tasted very much like the chicken sandwich i was hoping to get. i was also very impressed with the waiter’s english. we got to sit down and relax, and it was a really enjoyable time. (but i haven’t had mcdonald’s in the usa since either.) that night we made up for it, though, by going out for peking duck, ordering some fresh octopus, and then walking around houhai, which is a pretty trendy bar area near the water. 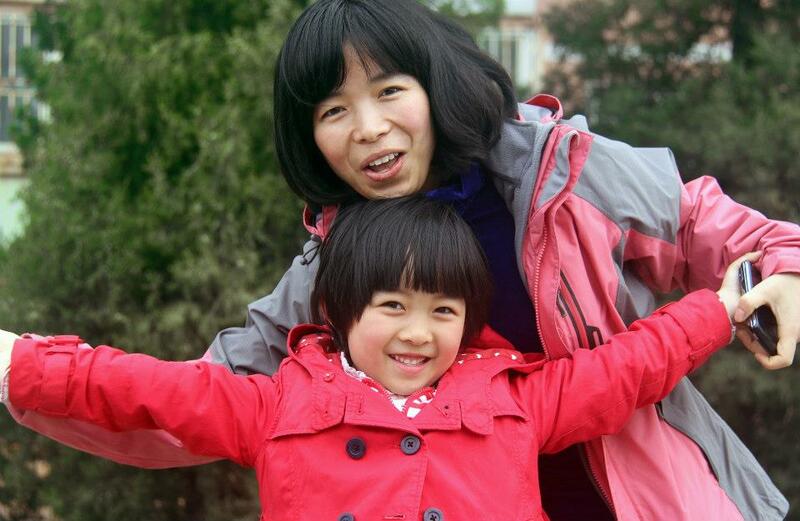 the last day xuemei took us out, along with her adorable daughter lele, to see some more sights in beijing. 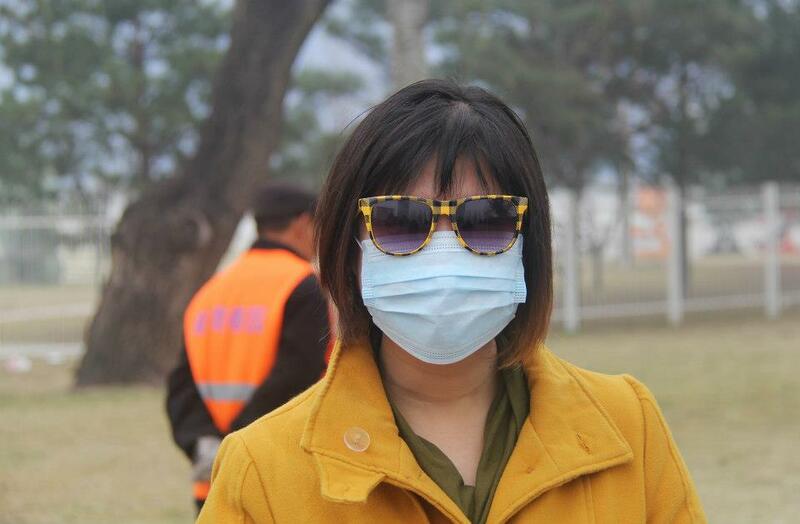 we went to the olympic park (where the… olympics… were held), and she handed us a few of those fancy masks the asians wear because of the smog. i put mine on and her daughter lele just started giggling and pointing at me. i wonder why? i think because of this silliness, lele felt drawn to me (probably became i’m immature and act like a child), but it was great because she hung out with me all day. we goofed around at olympic park, she wore my sunglasses at lunch, and we pretended to be kittens while we wandered around the temple of heaven, which is a complex of religious buildings that are visited during worship. what was really cool about the temple was that all the steps were in sections of nine, because nine represented a heavenly number. everything was blue, green, and yellow; the colors were a symbolic representation of heaven, the mortal world, and earth. xuemei also took us to the pearl market, where we bought pearl necklaces in the same place as hillary clinton and barbara bush. i had a few fake pearl necklaces, but i gave the helpers my price range and they brought me back a few strings of pearls to choose from. i picked one out and they sat down and started putting together my necklace, which was amazing to watch, and a necklace that i wear almost every day to work now! then we parted ways for the day and stephanie and i made our way on to the last leg of our journey, ningbo. there isn’t too much to report on ningbo, to be honest. it’s not a very busy area of china. i had edited the town hall meeting so we showed it to the employees (which chinese subtitles as many could not speak english) and then toured the factory and gave a few presentations and answered questions to help people practice their english. 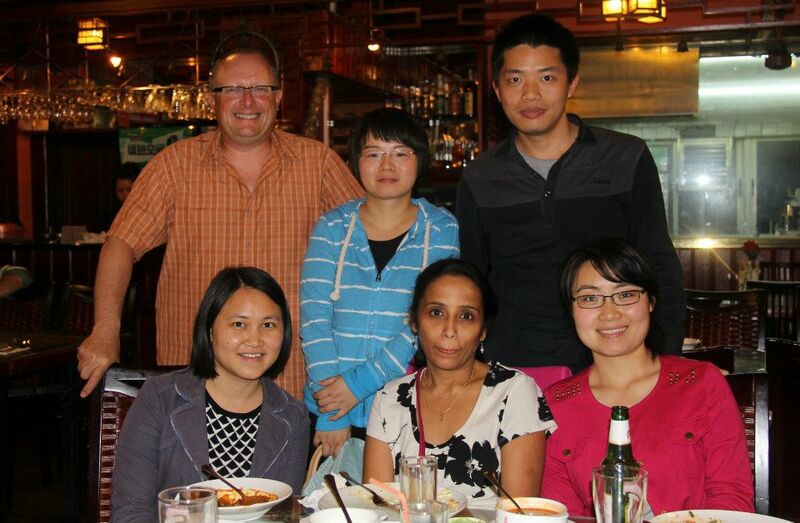 that night a few members of the ningbo team took us out for dinner. that was potentially the highlight of the whole trip- the ningbo team was so nice and the food (traditional chinese foods like lotus root, various fish, etc) was good and shared family style. since there was no more work to do, we finally felt like we could relax a bit! as we were leaving we got a group photo, which is pretty common. but then the waitresses asked if they could have a photo with stephanie… which was maybe the funniest thing that happened during the whole trip. 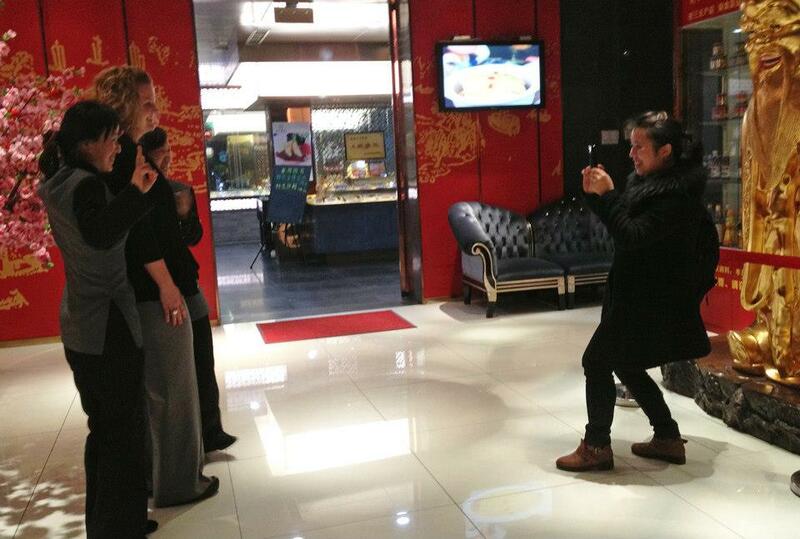 one waitress even shoved another out of the photo because she wanted one by herself with the white lady. anyway, stephanie was right. the trip was a once in a lifetime experience and i’m glad we got to go. xie xie for reading. This entry was posted in 2013, china, travel, Vacation, work and tagged adventure, beijing, china, colleagues, first class, korea, language, ningbo, shanghai, tourism, tourist, travel, work, zhuhai. Bookmark the permalink.